THE SCOTTISH Government must honour its commitment to the fair funding of inter-island ferry services in next week’s budget or it will be “flouting the will of parliament” after the Northern Isles’ two MSPs secured cross-party support for their motion on Wednesday, according to Tavish Scott. Speaking after a motion from Orkney counterpart Liam McArthur was supported by MSPs across the chamber at Holyrood on Wednesday afternoon, Scott urged the SNP not to kick the issue into “the deepest part of the North Sea”. The motion referenced a past comment from then transport minister – and now finance secretary – Derek Mackay that “the provision of transport services should not place a disproportionate financial burden on any council”. 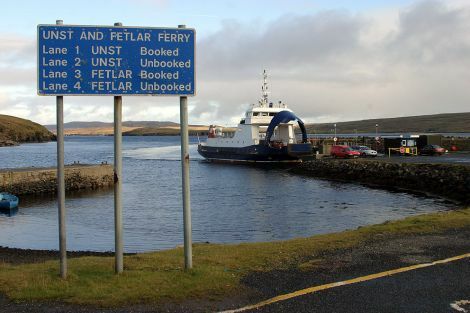 Shetland Islands Council spends around £7.6 million a year – nearly half the total running cost of ferries – on plugging the funding gap. It has pointed to the government committing to fair funding in its Empowering Scotland’s Islands Communities prospectus, as well as subsequent SNP election manifestos. Both islands councils warn that if an improved settlement is not forthcoming then further cuts to services will be unavoidable. SIC environment and transport committee chairman Ryan Thomson said he was “pleased with the outcome” and the two councils would continue pressing their case with ministers over the next eight days. After the McArthur/Scott motion was passed, an amendment by transport and islands minister Humza Yousaf committing to continued dialogue with councils was defeated by the presiding officer’s casting vote after a 60-60 tie. Scott said afterwards that by accepting the motion, Mackay knew the government “has no choice but to drop the cynical, political games” and make explicit how it will deliver its commitment. 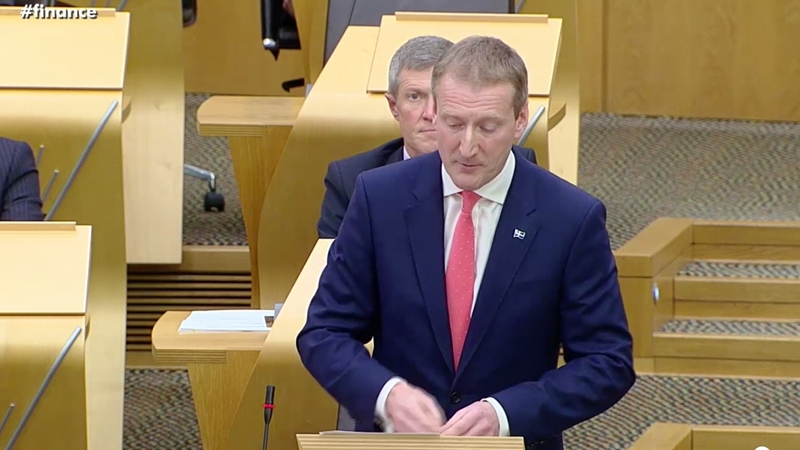 He said that must mean action in next Thursday’s 2018/19 Scottish budget announcement and failure to do so “will not just be flouting the will of parliament but will also be breaking their commitment for fair funding to the people of Orkney and Shetland”. The Shetland MSP was crystal clear that “the time for talking is over” and his Liberal Democrats were able to command vocal cross-party support, including from Highlands and Islands list MSPs John Finnie (Greens), Rhoda Grant (Labour) and Jamie Halcro Johnston (Conservatives), during the hour-long debate. The Lib Dems and SNP repeatedly accused each other of “playing politics” with the issue. Mackay refused to make any commitment to provide extra funding for the SIC and OIC, and ministers several times asked Lib Dem MSPs whether they would vote for the budget if funding was included. An impassioned Scott – indignant at suggestions from Yousaf and Mackay that he was putting party before constituency – said the budget was “another acid test of another nationalist policy” on island-proofing. “You can’t love the principle and then sell out on the practice,” he said, highlighting the importance of inter-island routes to seafood businesses based in places like Yell to ensure produce forming part of a £300 million industry could be exported. He referred to a succession of commitments by the SNP in the past four years and said islands councils had set out their demands in clear proposals to Transport Scotland. Concluding the debate in animated fashion, Scott said: “This is a point that people feel really strongly about, incredibly strongly about, in the islands. I say this to Mr Yousaf, to Mr Mackay and indeed to every minister – when a part of Scotland does not vote for the SNP, rejects independence, that is not a reason for political, economic or financial discrimination. 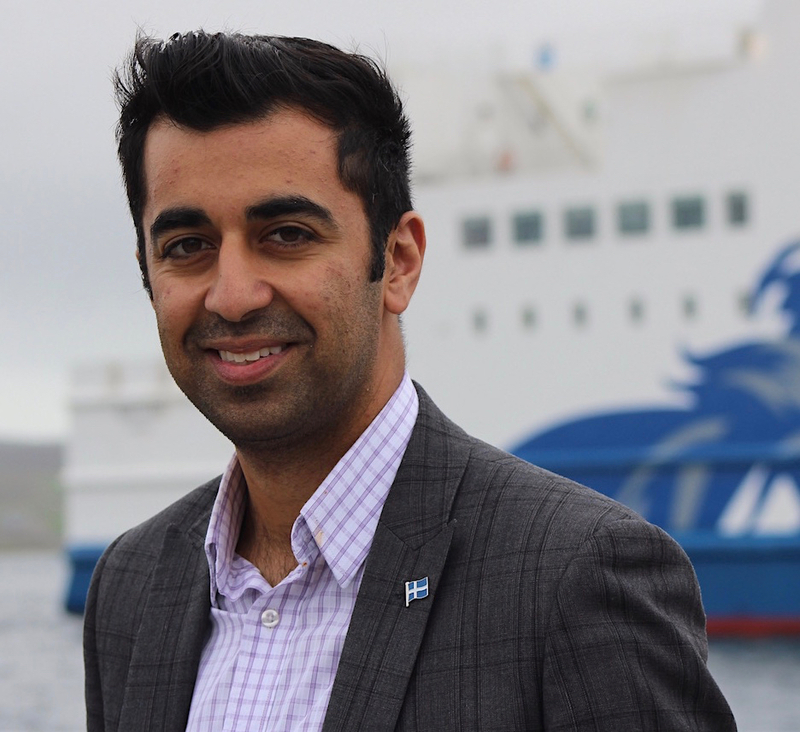 Earlier, Yousaf had highlighted this summer’s announcement of a reduction in ferry fares between the Northern Isles and the Scottish mainland by a party that was serious about honouring its manifesto commitments. He stressed that the SNP government had “never pledged to automatically assume responsibility for these services” – noting that the OIC last week indicated it wishes to hand over responsibility for its internal ferries, though the SIC is not expected to make a similar request. While many other west coast routes are fully government funded, Yousaf cited examples in Argyll & Bute and the Highlands where councils do fund some ferry routes as evidence that Orkney and Shetland were “not unique” in that sense. Yousaf pointed to comments from SIC leader Cecil Smith following a ministerial meeting on 16 November that he was “more optimistic than I have ever been before” of a deal. Yousaf said Scott’s refusal to commit to supporting the budget would “not play well in Orkney and Shetland”. Mackay said the SNP’s islands prospectus and manifestos since had committed to “engage in meaningful negotiations with the councils”, and that was what had happened. During his contribution, Finnie called on the SNP not to kick the issue into the “maritime equivalent of the long grass”. He said the Greens favoured “local operation of these ferries by the local authorities” over handing control to Transport Scotland. Finnie highlighted investment in major road infrastructure, for instance between Edinburgh and Glasgow where there are a multitude of heavily subsidised transport options including train, bus and car. In contrast, someone wanting to travel from Whalsay to the Shetland mainland had only a single, local authority-funded ferry option. Grant, meanwhile, felt the SNP was “incredibly cynical” to use the issue as a carrot to encourage other parties to back the budget. Many ferries were “a long time past replacement” and “not fit for purpose”, a situation that could have been avoided had the government intervened earlier. Halcro Johnston, whose amendment highlighting the importance of inter-island ferries as “lifeline” links was also unanimously approved, said it was time to end years of delay.